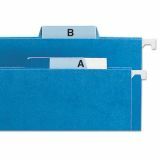 Reuse hanging file folders by replacing old tab inserts. 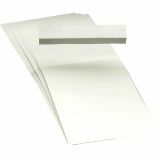 Perforated and scored sheets tear and fold into inserts for use with vinyl tabs (sold separately). 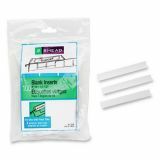 Note: A minimum quantity of 48 must be ordered, and in units of 1 thereafter. 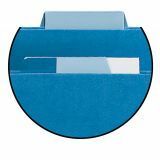 Smead Hanging Folder Tab Inserts - Blank white replacement tab inserts are designed for use with all vinyl tabs. Inserts are perforated and scored on sheets.